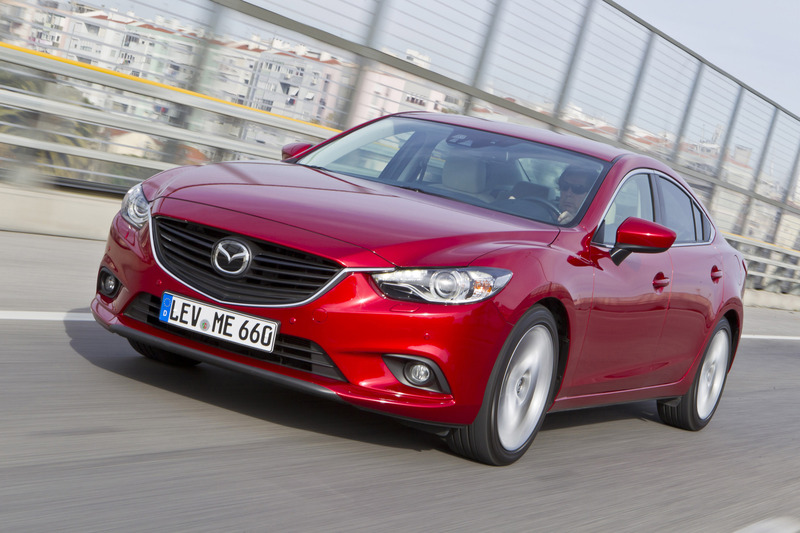 Mazda premieres the completely redesigned Mazda 6 at 2012 Moscow Motor Show. Following on from the Mazda CX-5, the all-new Mazda 6 is the second of a new generation of Mazda vehicles which adopt the full range of SKYACTIV technology and the "KODO - Soul of Motion" design language. 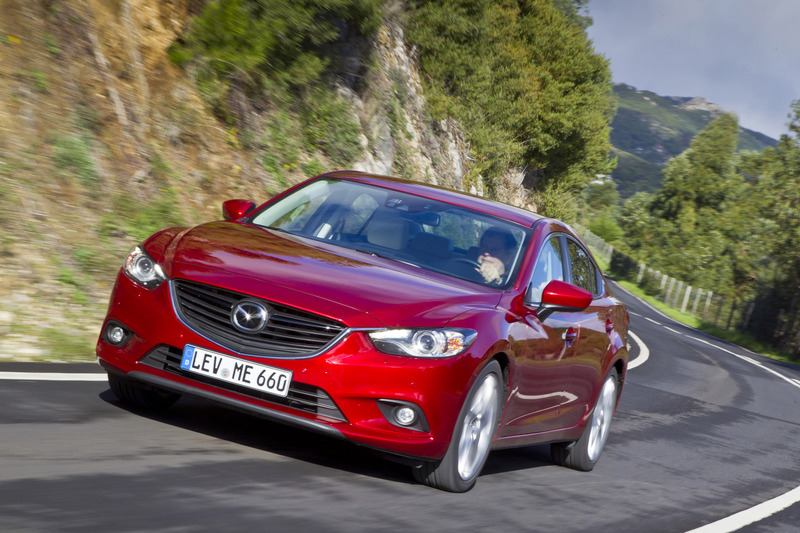 Mazda has consistently strived to provide stylish, insightful and spirited cars and the new generation vehicles also offer outstanding environmental performance. Mazda's environmental technology development is directed by its Building Block Strategy which first calls for thorough improvements in the base automotive technologies. The next step builds on these improvements with the sequential introduction of electric devices designed to improve fuel economy. 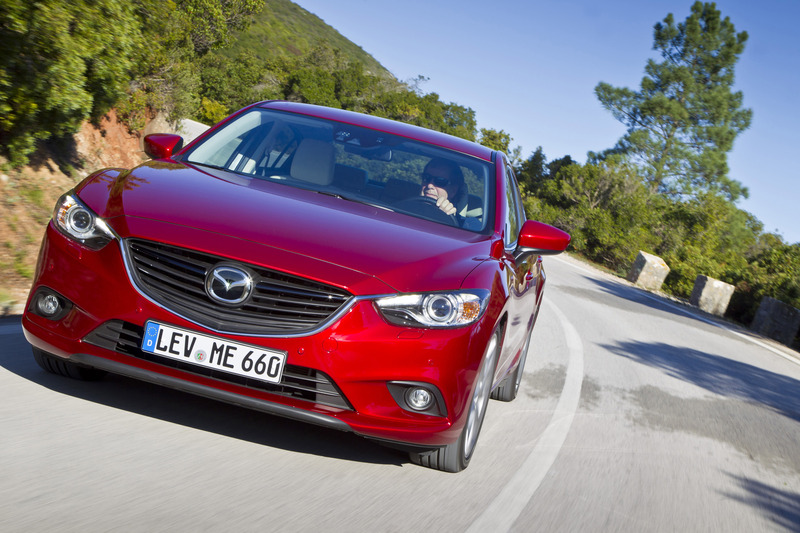 The first such device was the i-stop idling stop system introduced in 2009 with the Mazda 3. The second device, which makes its debut with the new Mazda 6 is i-ELOOP, Mazda's unique brake energy regeneration system which begins charging a capacitor the moment the driver takes his foot off the accelerator. Electricity stored in the capacitor can then be used to power electric components throughout the car. In freeing the engine from much of the duty of providing electricity to these components, more fuel energy goes directly to powering the car resulting in further improvements in fuel economy. In addition, a variety of advanced active safety technologies have been adopted. The new Mazda 6 delivers not only precise response and a high-quality, exhilarating driving experience but also outstanding environmental and safety performance. Drawing on the full potential of both SKYACTIV technology and KODO design, the Mazda 6 aims to take the "joy of driving" to a new level. As the flagship model of a new generation of vehicles, it will build on the momentum created by the success of the CX-5, and heralds a new era for Mazda. It will be introduced to global markets starting in late 2012. 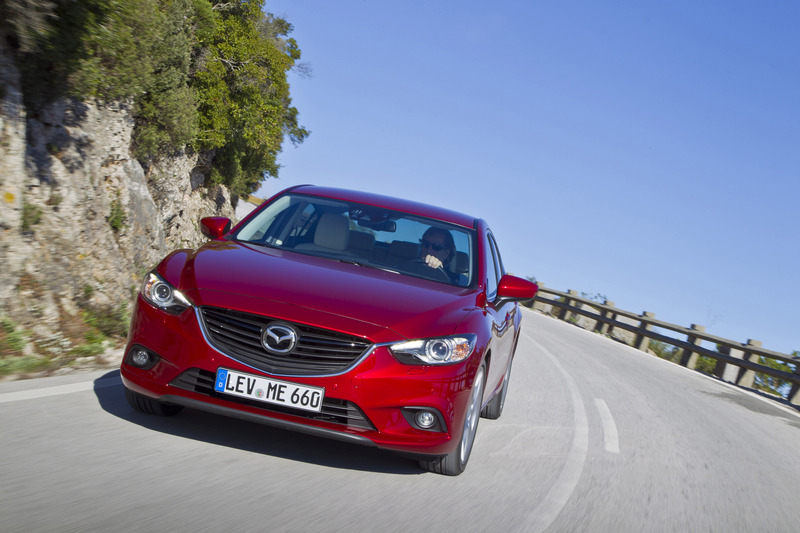 "In developing the 3rd generation Mazda 6, we pursued Mazda's intrinsic value: 'driving pleasure'. We wanted to create a car that reacts and behaves exactly as you expect it to. Part of this involved carefully crafting those parts of the car which you often touch to feel as though they are an extension of your own body," says Hiroshi Kajiyama, the new Mazda 6 Program Manager. "The distinctive design hints at the power and agility with which the car moves. A variety of original innovations support a comfortable and enjoyable driving experience. Mazda's superb engineering and craftsmanship have realized a car that handles so well it seems to respond directly to the driver's intentions rather than the physical manipulations of steering, braking and accelerating. In short, the new Mazda 6 offers the "joy of driving" that people have come to expect from Mazda, but the experience starts even before you get behind the wheel and lingers long after the drive is over. 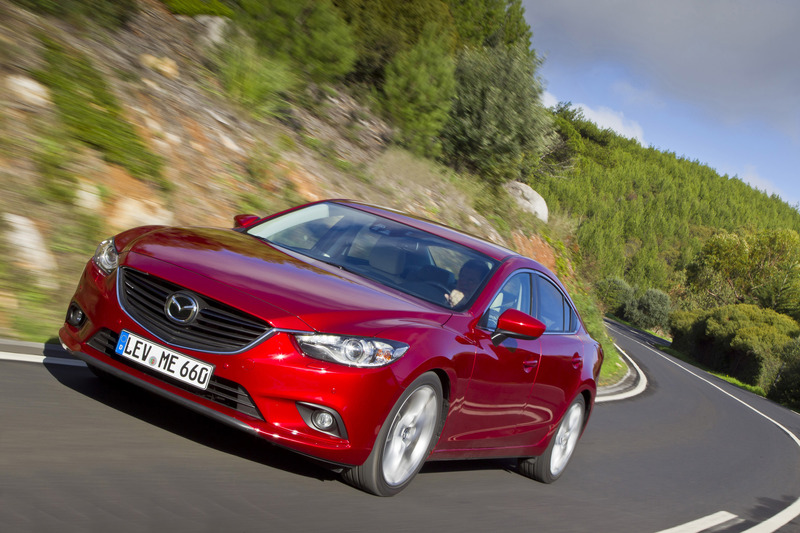 I can't wait to see the look on the faces of people getting out of the car after their first time behind the wheel of the new Mazda 6." 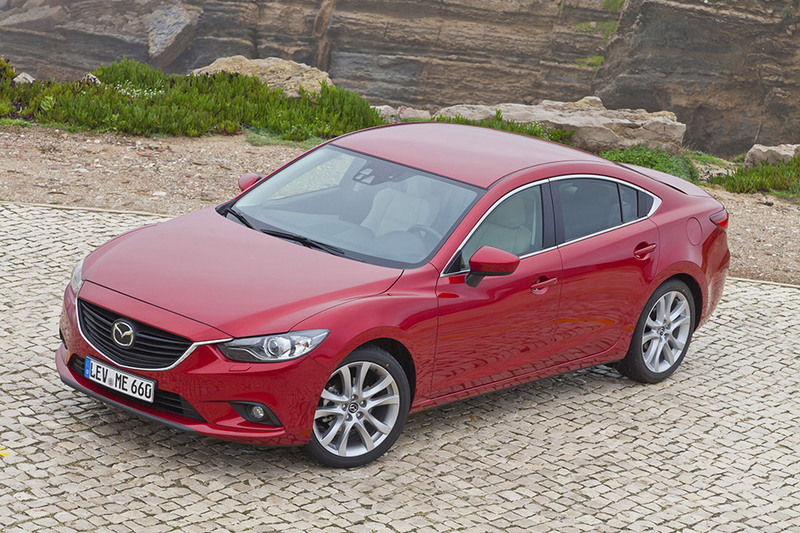 The new Mazda 6 is the mass production model born of the Mazda Takeri concept car first showcased at 2011 Tokyo Motor Show. "The new Mazda 6 has a robust framework and a low, wide stance that expresses strength and stability, creating the impression of amazing vitality without detracting from the universal aesthetic appeal and beautiful form it displays as a CD car," says Chief Designer Akira Tamatani. "We have created a design in which the wild and dynamic expressions of motion artistically realize a powerful presence. Simply looking at the car heightens one's expectations about the driving experience even before actually riding in it." In the front view, the 'signature wing' is incorporated, a unifying element of the new Mazda family face design, into the deeply sculpted face. The hood creases extend from the tips of the signature wing and flow into the body character lines. Together with the solid design of the nose, they complement the overall dynamic form of the body that expresses a strong desire for motion. Three character lines dominate the side view - an elegant line that extends forward from the rear tire, a rear fender line suggesting driving force from the vehicle's hind quarter, and a front fender line denoting strong shoulders supporting nimble forefeet. The combination of these lines capture the form of a predator crouched and ready to leap forward in an explosion of movement. The rear view displays stability through the well balanced proportions of the wedged body, prominent rear fender and compact cabin. For the head lights, signature LED luminescence and halo ring light guides are adopted for the first time in a Mazda mass production vehicle. The first use of "Soul Red", a new color born of a unique technological process developed by Mazda, that balances depth and shading which accentuate the car's dynamic form, and vividness which expresses sportiness. The driver-oriented cockpit offers generous space. Three meters laid out symmetrically in the meter hood heighten the expectation for exciting driving. The passenger side space provides a sense of both openness and safety with the decorative horizontal line extending through the center panel to the air-conditioning louvers as well as with the encircling form of the dash. Soft materials are used for areas frequently touched such as the door trim and the upper part of the instrument panel. The solid, decorative instrument panel features 2 colors, 'Bordeaux metal' and 'Dark metal'. White scale markings appear to stand out from the meter face which feature a combination of spindle groove and honeycomb patterning to achieve a feeling of depth and quality craftsmanship. An encircling metal ring completes a tasteful design which conveys a zeal for driving. 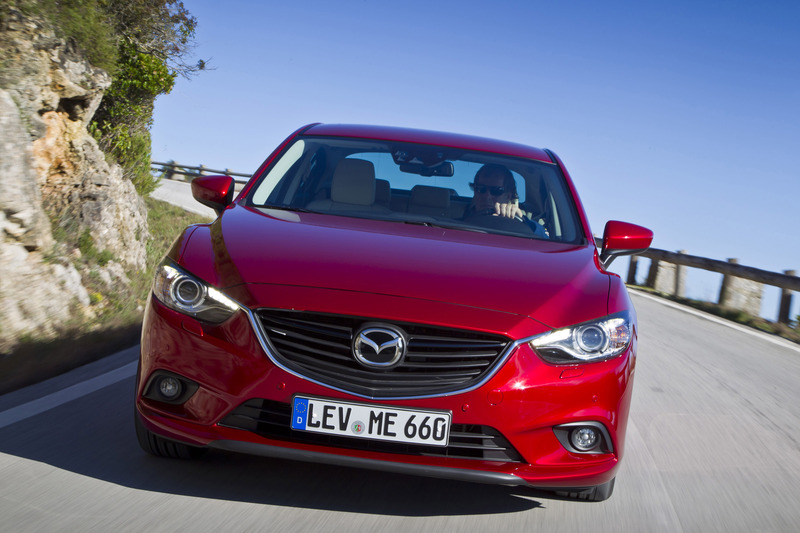 New generation Mazdas are developed under the design craftsmanship concept which incorporates the designer's aesthetic sense into a base of detailed and precise engineering. Full-scale implementation of this concept with the new Mazda 6 enabled a high-quality, premium finish with a harmony of form and quality while not compromising on functionality. Attention was paid not only to areas passengers see and touch but also to the feel and sound of operating the vehicle in order to create a sense of unity throughout the car. An overall feeling of quality appeals to all the senses and creates an expectation that the new Mazda 6 will offer heightened levels of driving pleasure no matter where you take it. Details of all parts, including design pattern, moulding, surface grain and gloss treatments are carefully executed according to a consistent philosophy. In the cabin, the instrument panel is laid out horizontally, and a smooth continuity between the upper area of the instrument panel and the door trim creates an impression of simplicity and neatness. Care has been taken to ensure metal-like decorations, such as satin chrome plating. Parts which the driver often handles, such as the steering wheel, shift knob and parking brake lever are carefully crafted to achieve a smooth and consistent feel. The layout of the instrument display and operating devices surrounding the driver's seat has been optimized in consideration of both the characteristics of human vision and arm and hand movements. Two fundamental aims directed the development of the packaging. The first was to realize a spacious, comfortable cabin that perfectly matches KODO design. The second was to refine the Human Machine Interface (HMI) to create a cockpit environment where the driver can feel completely at ease. The new Mazda 6's packaging achieves all three aims and provides driver and passengers with a great environment in which to savour the "joy of driving". The 2,830 mm long wheel-base allows a spacious backseat area, ample interior space and a broad canvas for the unrestrained expression of KODO. Large 19-inch diameter wheels create a feeling of unshakable stability. Compared to the previous model, the front wheel has been moved forward by 100 mm in relation to the A-pillar resulting in reduced overhang. The rear deck is also shorter than the previous model. The car's stance, with the bulk of the mass toward the rear, gives a sense of explosive power ready to be unleashed at any moment. Shoulder room of 1,450 mm in the front seat (20 mm wider than the previous model) and a large radius corner on the center console ensure comfortable seating. The rear seats feature ample legroom with a knee clearance 43 mm greater than the previous model and amongst the best in the segment. Leg space is 984 mm, which is 37 mm more than on the previous model. The length of the rear seat cushion is increased by 20 mm and the seat back length by 33 mm. The rear center arm rest has been enlarged by 60 mm. The trunk was designed from an ergonomic perspective. The upper opening width is 32 mm wider than on the previous model, for easy loading. A swan hinge enables easy and smooth opening and closing of the trunk. An adjustable front seat combined with adjustable tilt and telescopic steering wheel enable precise adjustment of the driving position. A multi commander allows intuitive control of an array of functions such as audio, navigation system and sensitivity of the automatic windshield wipers via the center display. Trip management information is displayed on a 3.5-inch multi-information display in the meter cluster. Navigation information is shown on a 5-inch display located in the center panel. By separating information into categories and showing them on two different displays, readability and operability were further enhanced. When it came to driving dynamics, the aim was to provide an exhilarating driving experience that can only be felt when the driver and car become one. Mazda's fundamental belief is that a smooth linear response to driver input is the basis of driving pleasure, and full enjoyment cannot be attained through speed and power alone. This was the motivation for the introduction of SKYACTIV technology throughout the car including the engine, transmission, body and chassis. Aiming to realize both agility and linearity by uniting the driver and the car, Mazda concentrated on providing outstanding levels of high performance via a control system that responds to the driver's intentions. In terms of acceleration characteristics, this means natural, linear acceleration in response to pedal operation without a hint of jerkiness or delay. For cornering characteristics, this means faithfully responding to steering input, providing immediate feedback from the road and mildly increasing roll so that no steering adjustment is required to maintain the desired cornering line. Finally, for braking characteristics, this means braking performance that gives the driver the feeling of being in complete control, even when releasing the brakes. Closely concentrating on human sensitivity, Mazda strove to balance fundamentally contradictory characteristics of motion: refined, supple motion and light, agile motion. Fitting for the Mazda flagship model, extremely impressive driving performance including superior high-speed straight-line stability that gives the feeling of complete control has been realized, thus providing an enjoyable, comfortable drive regardless of distance. The all-new Mazda 6 sedan has a finely tuned SKYACTIV-Chassis front strut and rear multi-link suspension, delivering agile driving performance in the low to mid-speed ranges and stability in high-speed driving. The column-type electric power assist steering system offers precise control by responding to small steering inputs as needed without forcing changes in the positions of the hands holding the wheel, thus contributing to a linear steering feel. The new control assist enhances straight-line stability and prevents steering pull on rough road surfaces. The optimized brake booster curves deliver effective, precise and assured braking performance all the way up to high G areas. This is the result of easily-controllable initial pedaling and enhanced stability enabled by higher brake cooling efficiency. Engineering efforts in NVH performance focused on achieving class-leading quietness in the cabin and creating a pleasant yet exhilarating engine sound under acceleration. The improved NVH performance mainly comes from effectively blocking noise paths from the engine and the road to the cabin and designing parts to effectively absorb sound energy. The optimized under-floor design improves aerodynamic performance by rectifying airflow under the vehicle and minimizing the trailing vortex by directing the airflow upwards via the tail up design of the main silencer. The Coefficient of Drag target is a class-leading 0.26 (depending on grade). This contributes to high-speed stability as well as fuel efficiency. SKYACTIV-G 2.0 (gasoline engine) equipped models offer abundant torque characteristics at low engine speeds enabling acceleration that precisely matches the driver's intention in various driving situations, and contribute to a precise and linear response, high-quality and pleasant ride and superb fuel economy performance. The maximum torque is 210 Nm / 4,000 rpm and the maximum output is 110 kW / 6,000 rpm. 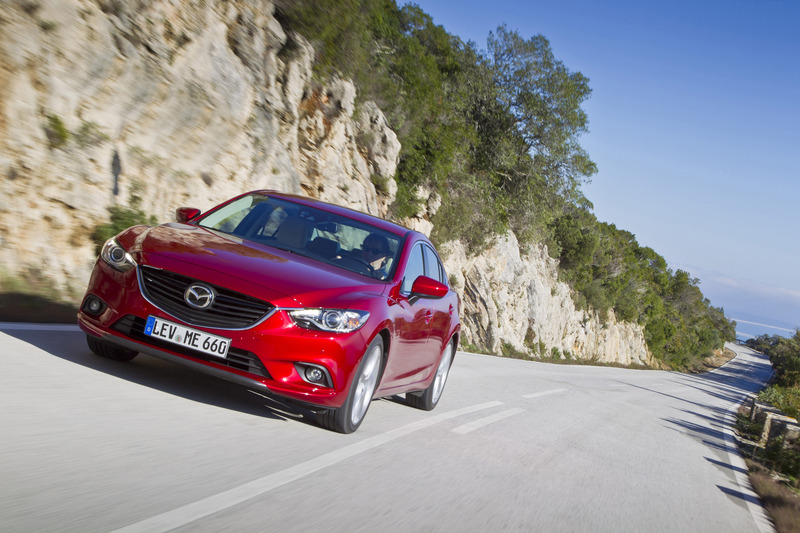 SKYACTIV-G 2.5 (gasoline engine), which will see its first deployment in the new Mazda 6 is light weight and delivers class-leading maximum torque of 256 Nm / 3,250 rpm. The maximum output is 141 kW / 5,700 rpm. The balance shaft contributes to the mitigation of engine vibration and low noise output. 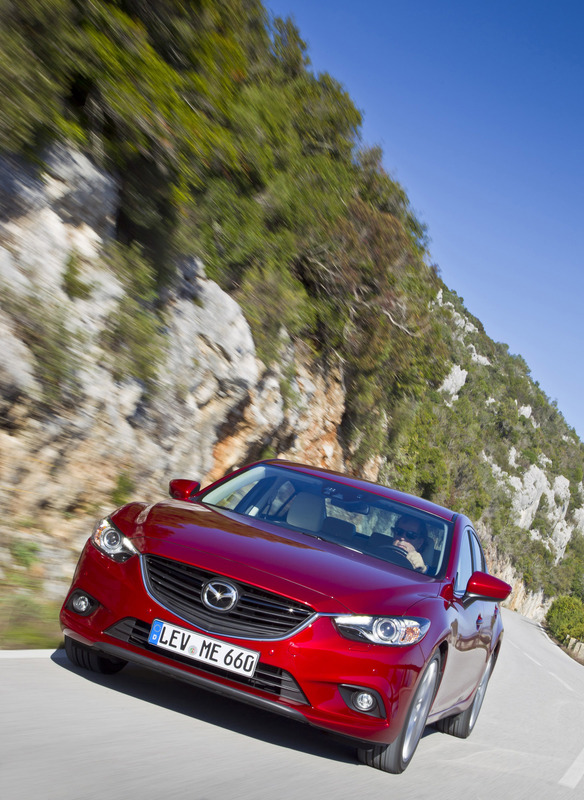 SKYACTIV-G 2.0 comes with the 6-speed SKYACTIV-Drive automatic transmission or the 6-speed SKYACTIV-MT gear box. 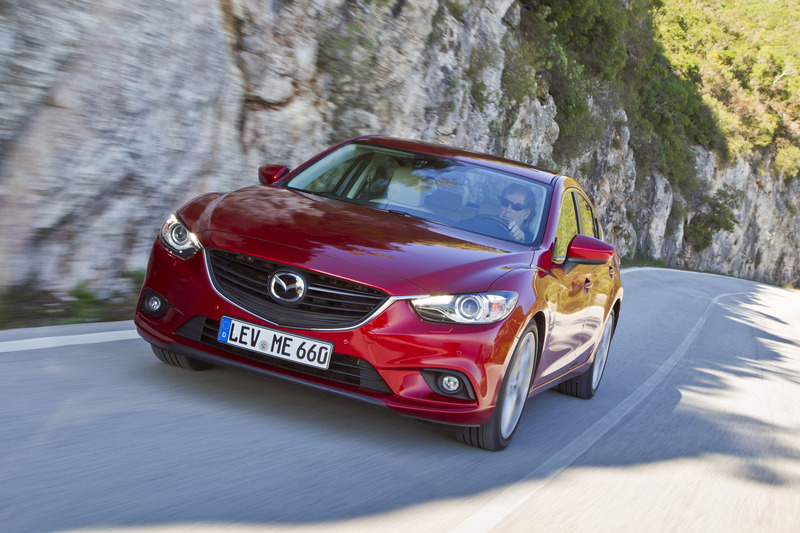 SKYACTIV-G 2.5 is combined with the SKYACTIV-Drive transmission. Precise and nimble driving performance is supported by both SKYACTIV-Drive, designed to control driving force and gear speed linearly in response to acceleration pedal input, and SKYACTIV-MT offering a light and crisp shift feel. Environmental and safety performance was further enhanced in the all-new Mazda 6 so customers can enjoy driving with peace of mind. In terms of environmental performance, the addition of i-stop and i-ELOOP improves the already outstanding fuel economy achieved with SKYACTIV technology. 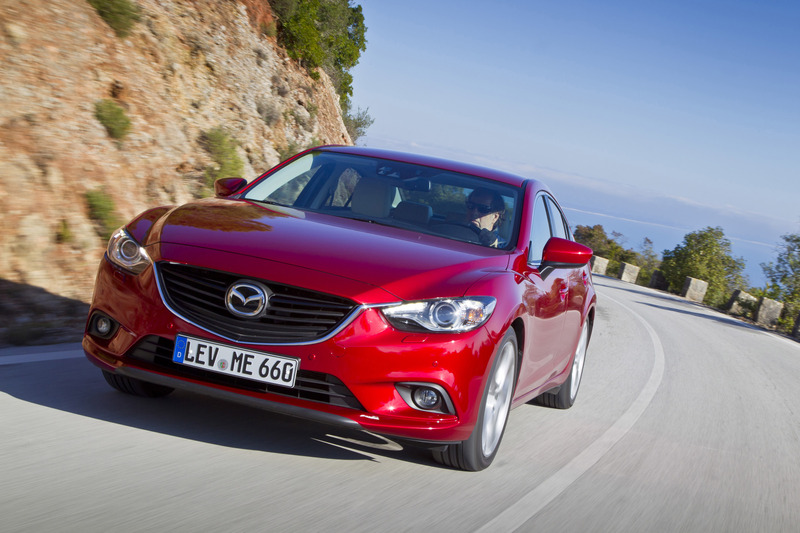 The foundation of the new Mazda 6's safety performance lies in its outstanding handling that responds immediately to the driver's input, its excellent visibility and the crash-worthiness of the highly rigid SKYACTIV-Body. On top of this, an array of advanced safety technologies has been employed to support the driver in the safe operation of the vehicle. For example, Rear Vehicle Monitoring (RVM) and Adaptive Front Lighting system (AFS) improve driver awareness and field of vision at night. Smart City Brake Support (SCBS) takes steps to avoid or reduce the severity of an accident. Finally, superior passive safety minimizes damage when collisions do occur. The new Mazda 6 is the first model to adopt the "i-ELOOP" brake energy regeneration system, which contributes to an improvement in fuel efficiency in real world driving situations. This is the first passenger car brake energy regeneration system in the world to utilize a capacitor. 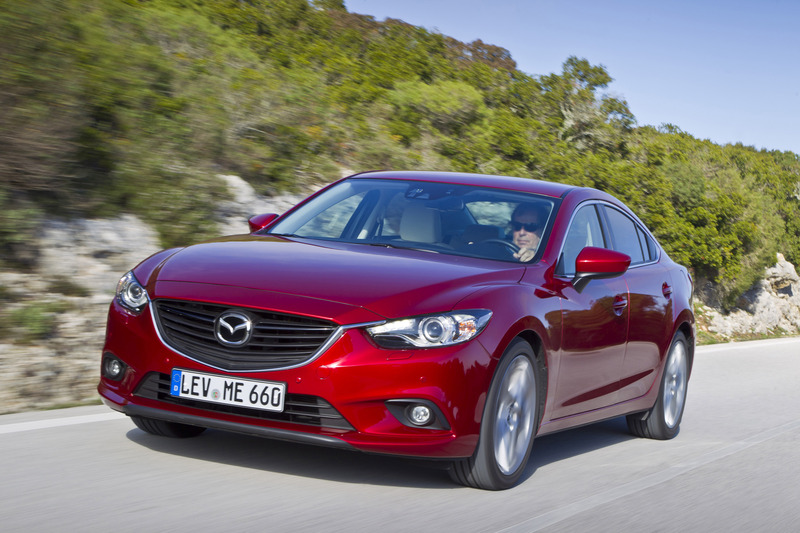 SKYACTIV-G 2.5 engine models are equipped with i-ELOOP. 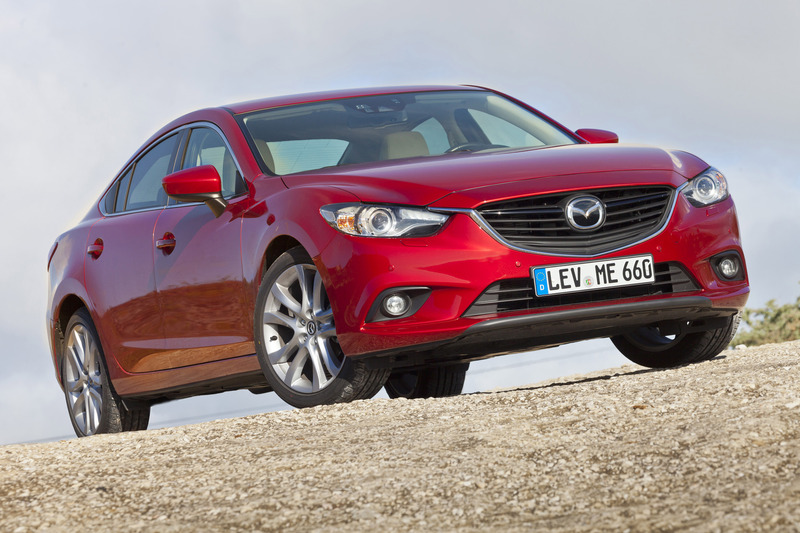 "i-stop," Mazda's original idling stop system, is introduced to the new Mazda 6. This system boasts a class-leading engine re-start time of 0.35 seconds. Award-winning single-nanotechnology in the catalyst improves the exhaust gas after-treatment process and reduces the amount of precious metal required. Moving the bottom of the A-pillar rearwards by 100 mm, compared with the outgoing model, and mounting the rear view mirror on the door rather than the base of the A-pillar helps to enhance the forward and peripheral visibility. High-Beam Control system (HBC) uses a sensor to detect oncoming vehicles and automatically changes between high and low beam to help avoid blinding other drivers during night driving. Adaptive Front-lighting system (AFS) predicts curves based on the degree of steering input and vehicle speed and turns the headlights in the direction that the vehicle is actually heading. This improves visibility when driving at night. 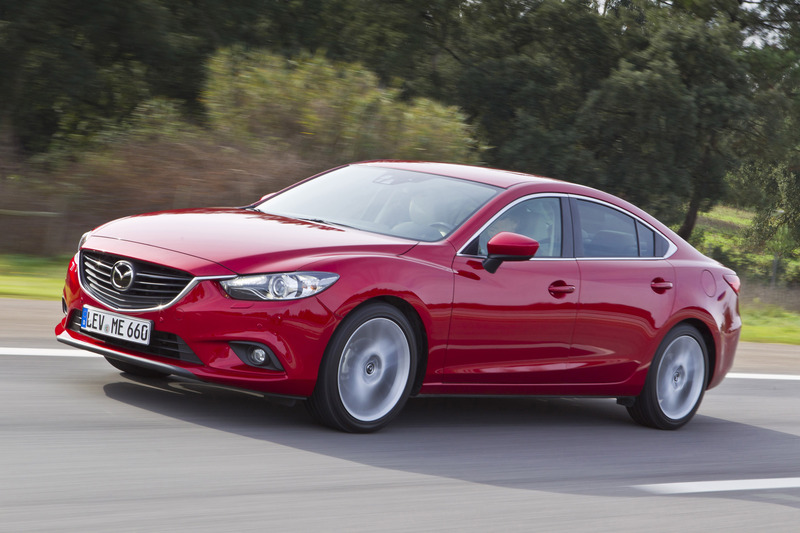 Hill Launch Assist (HLA) helps prevent the Mazda 6 from rolling backwards while the driver's foot moves from the brake pedal to the accelerator pedal when taking off on a hill. Emergency Stop Signal (ESS) cause the hazard lights to rapidly flicker on and off in the event of panic braking at 50 km/h or faster in order to warn vehicles behind. Rear Vehicle Monitoring (RVM) comes into effect at speeds of 30 km/h or faster and detects cars approaching from behind or driving in the blind spot on either side, warning the driver when he turns on the indicator to change lanes. The Lane Departure Warning System (LDWS) uses a camera to judge the position of lines on the road and warns the driver of unintentional lane departures, thus minimizing the risk of collision due to driver inattention or fatigue. Smart City Brake Support (SCBS) uses a near-infrared beam sensor to help prevent and, in cases where prevention is not possible, reduce the impact of frontal collisions at low speed (up to 30 km/h) by automatically applying the vehicle's brakes. The lightweight yet highly-rigid SKYACTIV-BODY provides excellent crashworthiness and is designed to attain top safety ratings in tests around the world. A multi-load path structure and a front end with an X-shaped cross-section increases impact energy absorption, further improving safety performance in frontal, side and rear-end collisions. The anti-whiplash design of the front seats helps to reduce neck injury in the event of a rear-end collision. There are two impact beams in the front doors. The upper beam has a round cross-section, and the lower beam has a double-ridged cross-section. The lower rear beam also has a double-ridged cross-section, helping to improve strength.